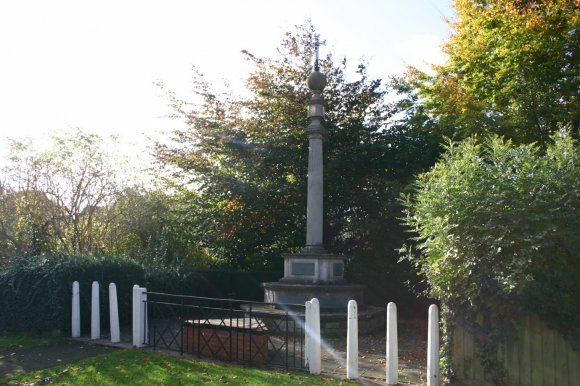 The War Memorial was unveiled on Sunday 13th November 1921. "I have the honour of unveiling this Memorial to the Men of Irthlingborough who fell in The Great War. The sentence of dedication was pronounced by the Rec. W. Frith M.A. (Rector) who also gave the Dedicatory Prayer. Then came the Hymn 'For all the Saints' - and The Blessing, recited by the Rector, and the Sounding of 'The Last Post' by Ex-Drummer W.A. Neville and Mr J.T. Flawn of 'The Church Lads' Brigade. 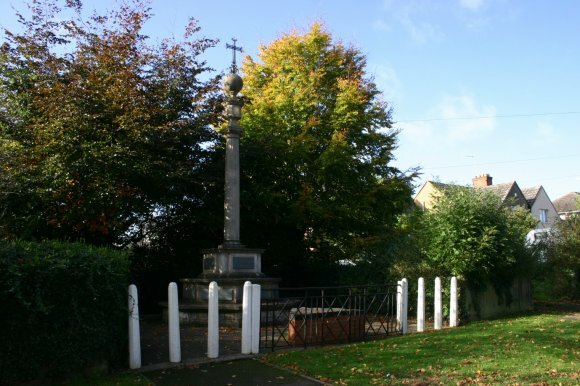 Mr Herbert Perkins (Joint Sec with Mr E H Barker of the War Memorial Committee) said that to him fell the honour of the committing of The Memorial to the care of the Town. Addressing Mr Barker, he said the Town charged him, and those who would succeed him in Office as Chairman of the Council, to keep the Memorial worthy of the Heroes that had fought; - worthy also of the Town of their Nativity, also that he would make a point of honour to guard and keep it worthy of their great sacrifice. In an earnest reply, Mr Barker said that it was a great honour to be allowed to receive The Memorial and to give a guarantee that they would prove worthy of those who had gone before. The present governing body and others, yet unborn, would realise that it was a setting of beauty and make it so, that as the years went round it would be still more beautiful and impressive. Many of them had Memorials in their hearts and wanted no visible Memorials, but for those who were to come, The Monument was necessary. In affectionate remembrance of the fallen of Irthlingborough, from members and officers of the Urban District Council. Mrs Ripley, accompanied by her second son, also placed a wreath in position and this was the signal for many men, women and children to follow suit. In a few seconds the base was covered with beautiful blooms. Sir W Ryland Adkins K.C. M.P. delivered an oration. (Listed between this report were the names of every Irthlingborough man who fell in this War). XHTML 1.0 validated. WCAG compliant. Page generated in 0.078 seconds.